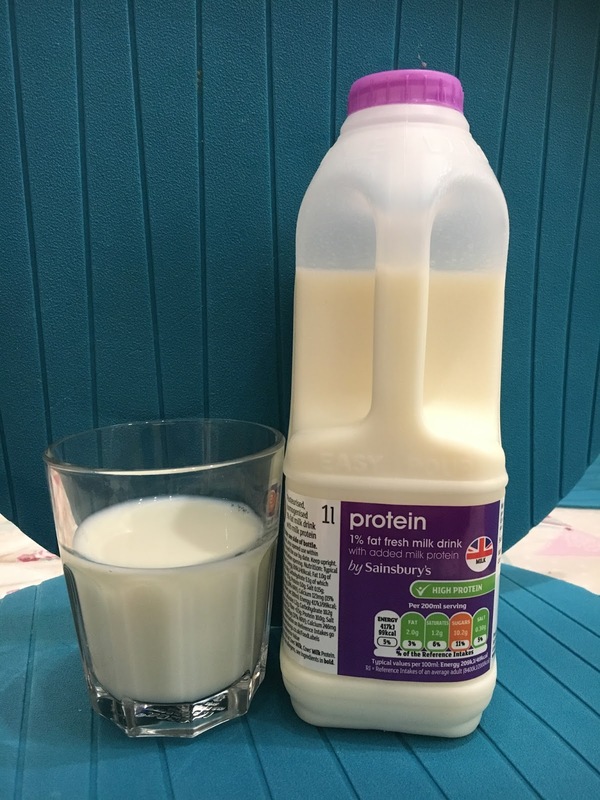 Sainsburys recently contacted me to let me know that they have launched an own-brand Protein Milk, the first Supermarket in the UK to do so. This is fantastic news for vegetarians who often struggle to get enough protein in their diet. When they asked me if I would liked to sample some I immediately thought of how this would also be great for my daughter as I worry about her eating meat free and getting enough protein. Sainsbury's Protein Milk is 1% fat and tastes just as good as it's counterparts. One serving (200ml) delivers 10g of protein - 38% more protein than regular milk. At £1.25 per litre, Protein milk is an easy swap for regular milk and much more beneficial health wise. The milk can be found in the chilled aisle at most Sainsbury's stores. We used the milk on our cereal, in cups of tea & coffee, and in our cooking. I also found it particularly useful for making smoothies with as my daughter loves fresh fruit, so this was a great way to get the protein in her diet too. I was really impressed with Sainsburys Protein Milk and it will be definitely be my milk of choice going forward!